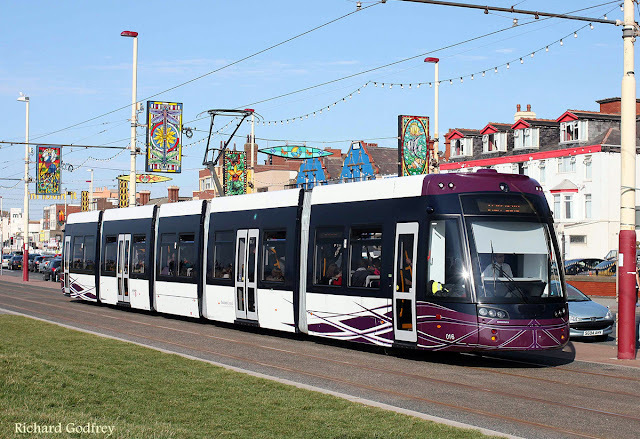 Outline plans have now been revealed for the highly anticipated weekend event celebrating 130 years of the Blackpool tramway in September, and this looks set to be the most ambitious and impressive event in the modern era so far by some distance! As well as having all of the serviceable heritage cars in action on both days, other exciting plans include some unusual photo opportunities and, for the first time ever, the chance to visit both tram depots in the same day. On Saturday 26th & Sunday 27th September, Blackpool Transport’s Heritage Tram Tours will deliver an absolute feast of historic trams which no enthusiast will want to miss. 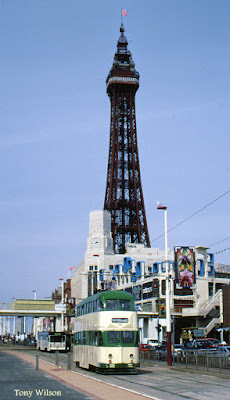 It is planned to have ALL operational passenger cars in the heritage fleet in service on both days, including the illuminated feature cars, and between trips the trams will be rested on the loops at Pleasure Beach, creating numerous impromptu photographic opportunities. Presumably crews will swap between trams to ensure the maximum possible output is achieved. Those trams which are currently incapable of running will not be left out however, and both days will see a different line-up of stored cars and engineering vehicles on Blundell Street. The level of service operating over the weekend looks set to be something to beat all previous efforts, with a twenty minute daytime heritage service operating from Pleasure Beach, as well as departures every half hour from Starr Gate and Fleetwood, providing the entire length of the tramway with a very intensive heritage tram service. 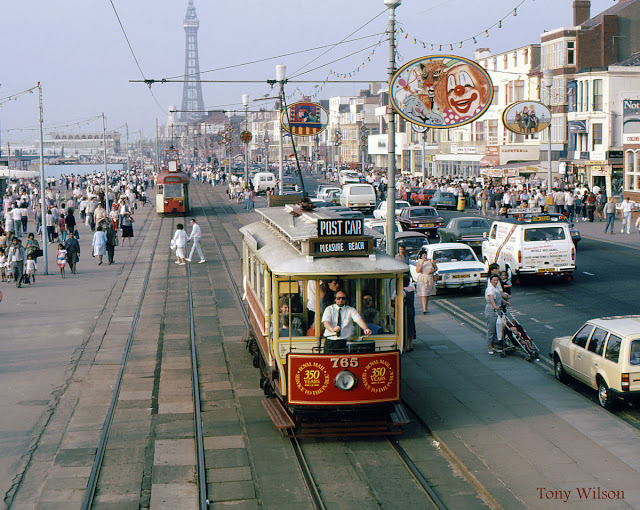 Star attractions should include visiting Ex-Towing car 680 from the Heaton Park Tramway, and an immaculate Twin set 675+685 in 1970s style green and cream livery. This Twin car will be launched back into service on Saturday 26th September, and its first passenger working since 2011 will be the 1100 tour from Pleasure Beach running all the way to Fleetwood. As if all that main line action wasn’t exciting enough, both days will also offer a rare chance to see behind the scenes at both of the tram depots on the upgraded system, with guided tours available on the hour throughout both days at each site. In addition, a special extra heritage service will operate between Rigby Road and Starr Gate depots via North Pier, to allow visitors to travel between the two locations, and this will offer not only a ride along Hopton Road onto the promenade but also the novelty of a ride through the wash plant at Starr Gate! This has only ever happened before on private hires so represents another very welcome innovation to the heritage operation. Please note that visits to the two depots will be limited and places can be reserved in advance for an additional fee. 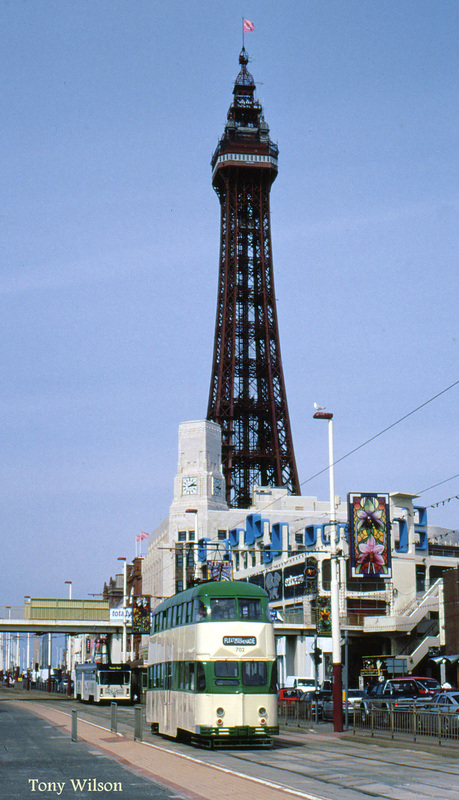 The programme of events is completed by a series of vintage bus tours, using preserved Blackpool buses to travel around some long-lost inland tram routes in the town. There will also be a special range of limited edition merchandise on sale including mugs, glasswear, caps and much more to suit all tastes and pockets. Despite the incredible amount that is on offer, the normal heritage tour fares will still apply with a £10 adult day pass available covering the heritage tram service plus all normal tram and bus services and the evening illumination tours as well! An extra charge of £5 will apply to the depot tours and connecting tram ride including going through the Starr Gate tram wash.